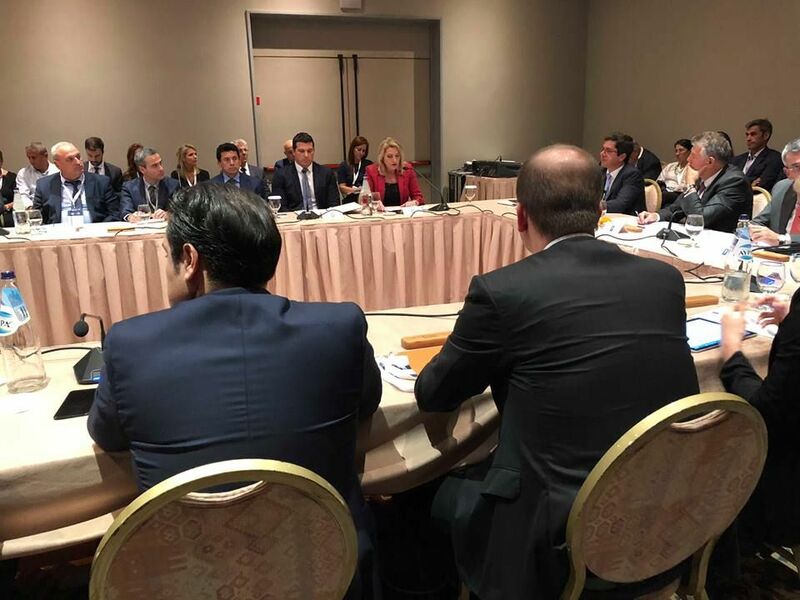 Deputy Minsiter Burbuqe Bakija-Deva participated in the Regional Forum on Peace and Sport held on Rhodes island of Greece, along with nine ministers and deputy ministers of the region and beyond, other senior sports authorities and the Olympic Committee of Greece. Deputy Minister Bakija-Deva presented the achievements of MCYS in the field of sport, as well as the challenges that our athletes are facing. With the theme "Rising Up Through Sport", the Regional Forum gathered 350 decision makers from 50 countries, 50 high-level speakers, and 10 world champions of peace to demonstrate the positive impact of sports on society. During this forum, together with high profile participants, the Nobel Peace Prize winners, international organizations, and NGOs, among other things, were identified the regional challenges by building synergies to maximize sports activities for positive changes. Mr. Joel Bouzou, President and Founder of the Forum "Peace and Sport"
Sport changes not only the lives of every individual, but at the same time sport can change a whole society, make it more united, more optimistic, more proud of its values and abilities. Sport represents our values in the world. Sport in the Republic of Kosovo is a constitutional category and is defined as a category of special social interest and is mainly financed by the budget of the Republic of Kosovo. The Ministry of Culture, Youth and Sports has defined the obligations and goals based on the laws, setting criteria and priorities for allocating budget funds for sport development, including all communities in sports activities, advancing female sport, and subsidizing sports activities of persons with disabilities. Sport is a national priority for many reasons, and in particular for the valuable contribution it has given in all phases of developments in the Republic of Kosovo. Investing for children and young people means creating conditions for participation in sports at schools and local sports organizations through the "Sports for All" system, developing peak sports matches, developing sports infrastructure, and raising awareness citizens to take part in sports. Sport requires the organization, administration and implementation of sports activities, where in Kosovo traditionally they are based on voluntary engagement. Volunteer work in sport has important value in social terms. Therefore, sport can be considered as a tool for local, regional, and global development, as well as urban regeneration and rural development where many sites can be identified among the sport. MCYS through the European Week of Sports and Sports Organizations and NGOs has organized conferences to address gender equality and diversity issues, thus reiterating the priority of the Government of the Republic of Kosovo, in particular the MCYS, for strengthening the position of women and girls in sports. Supporting diversity and gender equality means treating people without distinction of nationality, belief, gender, age, physical ability, and seeing people as individuals by accepting their particulars and taking into account their individual rights and identity. MCYS with development policy supports Kosovo residents to have access to sport, according to the specifics of underrepresented groups that are regulated by sub-legal acts and the Law on Sport. Since its independence in 2008, Kosovo has made efforts for international recognition and opportunities for engagement in international sporting events. 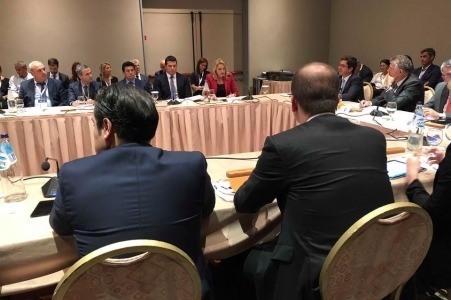 Moreover, delayed membership and participation of Kosovo's federations and athletes in international events and competitions has had a significant impact on Kosovo's sports. Sometimes what politics can not do, sport can achieve it, and this is best proved by Kosovo's admission to the International Olympic Committee, by voting also representatives of countries that have not recognized the Republic of Kosovo. When politics constitutes unprecedented obstacles to integration and development in front of the new state of Kosovo, sport that outstrips obstacles to the free world is the sport and international federations that recognize the existence of Kosovo athletes competing and are internationally known for their values and their results. It is sport that recognizes us and makes the flag to control and gives hope for the peace and development of the Triumph. The best case was in 2016, when Kosovo for the first time participated in the biggest sports event in the Rio World Olympics, and judoka Majlinda Kelmendi won the first gold medal for Kosovo. Also last week, at the Olympic Youth Games held in Bunos Air Argentina, Erza Muminovic won the Olympic bronze medal. So sport promotion and co-operation between cultures are the best way to achieve co-operation in politics and build bridges of tolerance and coexistence. These collaborations are testament to restoring communication and cooperation between Kosovo's sport and culture around the world. This journey has just started and will become even more intensive and more substantial. Normally, this journey is not without challenges, challenges that, as in the past, largely derive from politics. Kosovo, although it is a state of 10 years, has not yet been recognized by all the countries of the region and Europe. Young people in Kosovo often have no opportunity to participate in various cultural and sports activities because Kosovo is the only country in Europe that does not enjoy the free movement of citizens. This hampers communication between Kosovo and the people of Europe. In the hope that Kosovo will soon be part of the European Union, I guarantee that Kosovo is and wants to remain a country where peace, sport and cultural diversity are considered as the basis of human identity and well-being! By appreciating your time, I thank you for your attention.